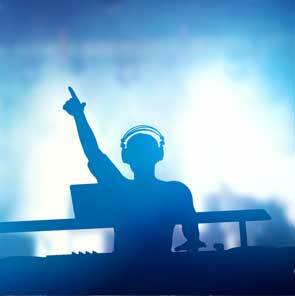 Have you always dreamed of being a DJ? Do you hear new mixes and think “I could do better than that”? Do you like creating a party environment and knowing you’re the one creating all the fun? Have you always wondered how you could turn your love for music into a profitable career? If you answered “Yes” then you should consider becoming a DJ…..
David Pezza, an accredited DJ and Music producer with over 15 years of experience in both fields, will instruct you on the fundamentals of being a disc jockey in this instructional “How to be a DJ” course. David will first talk about what a DJ is and go in depth into the gear and workspace that a DJ uses in their career. He will then go into the technique of mixing, beat matching, looping, and effects. This course will also feature Scratching, also known as scrubbing, Mobile DJ, and using a microphone as a MC. David will bring in three different experts to introduce and demonstrate these techniques. The type of music you play will also be essential as you determine what kind of DJ you want to be; this will also play into the type of gigs you can perform at and the importance of engaging your audience. How to be a DJ is a great way to learn the tools and trade of the DJ industry and find out if this is the right career for you! Trouble shooting On a gig.